PT PINDAD conducted on 27 of August 2018 a successful live-firing demonstration of its latest “Medium Tank” at the Infantry Education Center of the Indonesian Army at Cipatat, West Bandung Regency. The attendance was composed by numerous high rank officers from various departments of Ministry of Defense and the Indonesian Army. 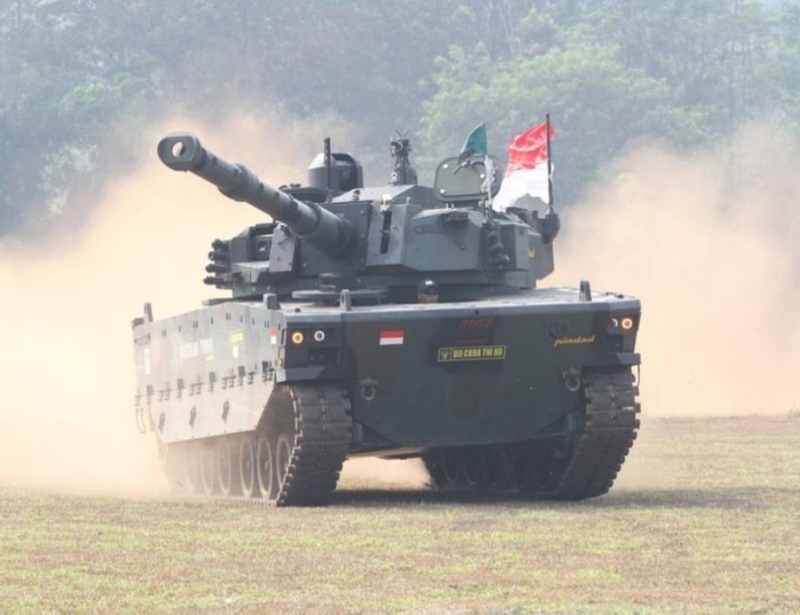 The Medium Tank (MT) is the result of a 4 years joint development by PT PINDAD (Indonesia) and by FNSS (Turkey). The MT is fitted with the latest generation turret from CMI Defense (Cockerill® 3105 turret equipped with high-pressure 105mm Cockerill® gun). The MT has demonstrated excellent results in four different main firing scenarios. One of these scenarios involved firing at a moving 4x4 armored vehicle while the MT was itself driving at a speed of 20km/h. This very challenging scenario resulted in a brilliant shot at 1,200m, with a TPCSDS-T round. The Director of Potential Defense of Ministry of defense - Prof. Dr. Ir. Bondan Tiara Sofyan, M. Si stated that “Indonesia will place an order of minimum 44 units for the first batch of mass production”. (Source: Koran Sindo 28 August 2018 ). FNSS Business Development Director, Melih Kayaalp said: “As we have promised, the effectiveness of the Medium Tank proved itself to the user with its high performance on protection, mobility and firepower. We are very pleased to jointly develop this vehicle together with our partners. Now we are confident to take part on the serial production stage by providing further technical support for the Indonesian Medium Tank program”. Mr. Thierry Renaudin, President of CMI Defense, stated: “CMI Defense is fully committed to its strategic partnership with PT Pindad and to the development of Indonesia’s defense capability. I am personally delighted by the success of the Medium Tank and excited at its potential for Indonesia”.